I had the most perfect day yesterday... Saw art, hung out with great friends and definitely felt inspired. Love that! 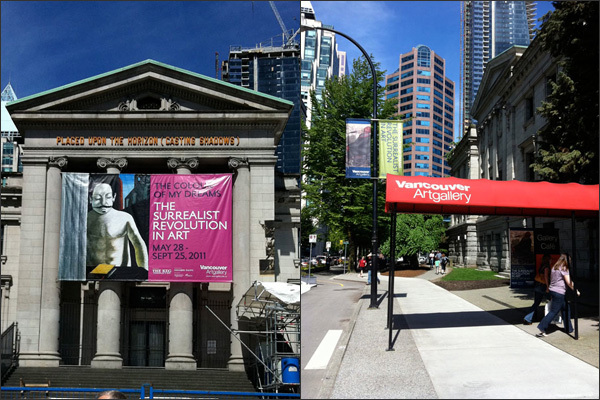 First off I met my friend Mike at the Vancouver Art Gallery. 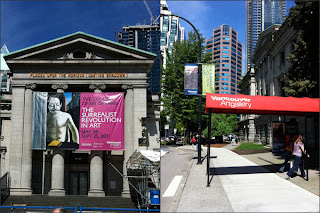 He has a VAG membership so my admission into the gallery was free... And they extended the show I really wanted to see until today, The Colour of My Dreams: The Surrealist Revolution in Art. First we perused the surrealist show. I love the surrealists - André Breton, Salvador Dalí, Max Ernst, René Magritte, Joan Miró, etc. We did end up viewing all of the floors but really I was just super happy to see some Salvador Dalí. 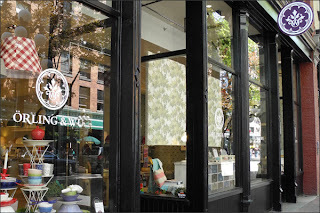 Next we hit Gastown and checked out some of the funky home decor stores. I'm the worst customer ever since I just go to see what they have then gather ideas for stuff I can do myself. Really do I want to pay $80 for a pillow cover or pay under $10 and make it myself? First stop was Orling & Wu on Water Street. 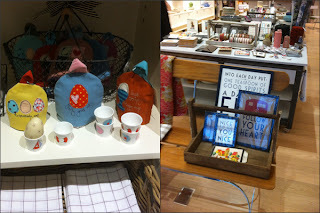 I found a few inspiring items - they had some lovely prints! I still need to design some prints for my frames. Sometimes I get too complicated with a design when really I gotta remember the adage KISS - keep it simple stupid. That's why I like these prints! And they had some lovely items with nifty stitching, etc. The next stop was to Old Faithful Shop on Cordova Street. 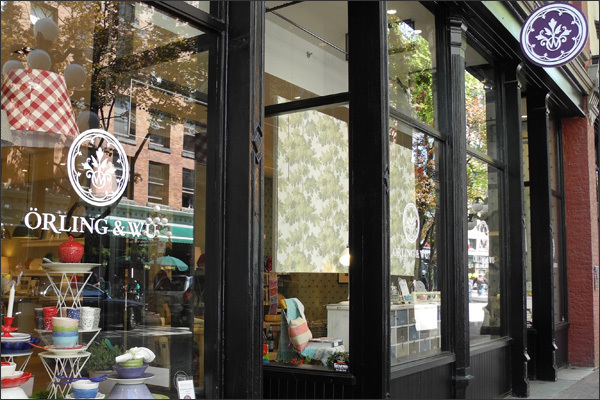 A lot of the new stores in Gastown are such amazing spaces to peruse and get inspired by. I loved looking at the home decor items and then checking out the books, etc. Back onto Water Street and into Parliament. 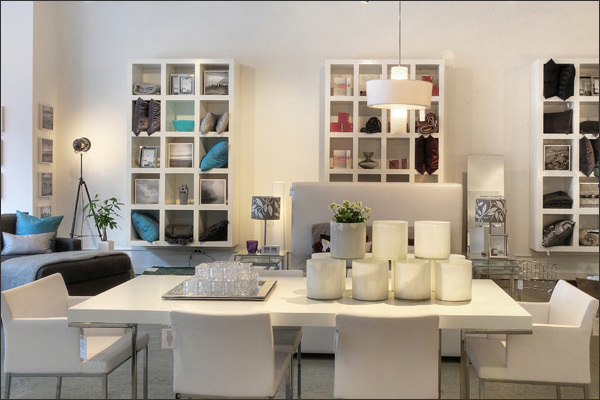 Such a gorgeous space filled with grey and turquoise items. They had some funky pillow covers but I'll be making mine not buying them. Then we hit some more art. 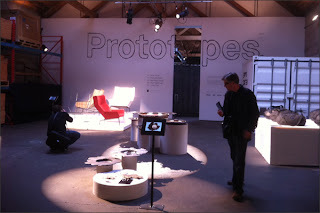 We checked out the "Prototype" show hosted by Burnkit. The show features the works of five local designers & architects and focuses on design prototypes. Luckily we saw it in the nick of time since yesterday was the last day. 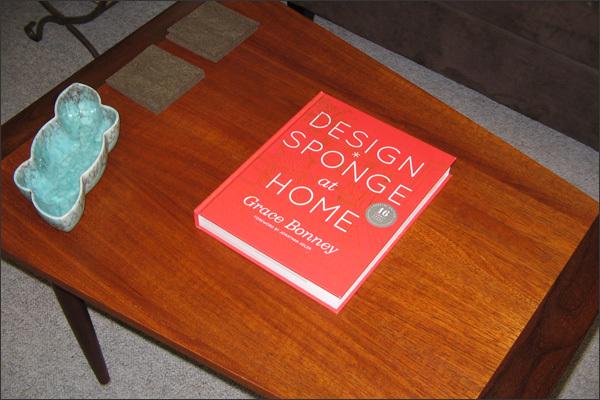 After an afternoon with Mike I then meet up with my crafty/sewing buddy Thelma for the Design*Sponge book signing. 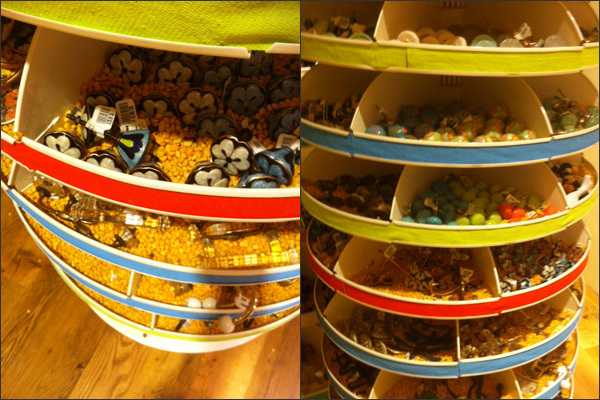 Last night was my first visit to Anthropologie and I was in DIY heaven when I found their stash of drawer pulls. Holy smokes! It was super tempting... 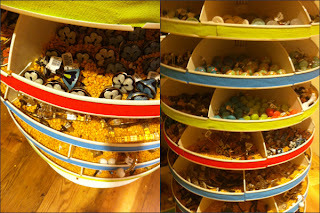 Although some of the ones I liked were in the $20-30 price range. Go figure! 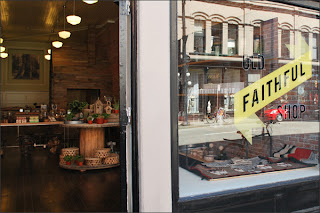 I didn't manage to get any pics from the book signing with Grace, etc. But definitely glad I went and super glad I picked up a book. This afternoon I'll have coffee #3 and start reading my book. Probably before I paint... It's going to be a jammed day of painting, hinging, hanging stuff... Feeling the inspiration to make beautiful things! PS I finally registered for my beginners woodworking class at the Roundhouse Community Center... Can't wait! Power tools, making my very own woodworking project... What more could a girl want!